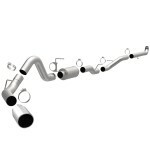 Magnaflow exhaust systems are one of the most popular aftermarket upgrades for both cars and trucks. One of the reasons is because they have a system to fit just about every make and model of vehicle. 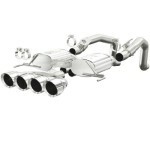 Whether you drive an American muscle car, diesel truck, or something in between, they have an exhaust system for you. 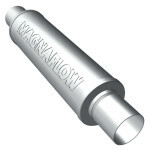 What makes Magnaflow a leader among all of the other exhaust brands? All of their products are manufactured in the USA so you know the construction quality is unparalleled. Don’t forget about the power. 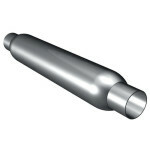 Each Magnaflow muffler features a straight-through design that reduces exhaust back pressure. This gives you more power at higher RPMs. 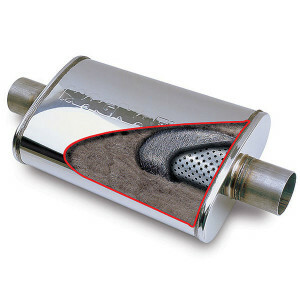 Magnaflow mufflers have a straight-through design and are filled with stainless steel acoustical packing material around a perforated pipe. 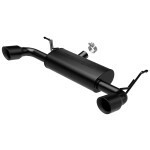 Due to the interior packing material, Magnaflow muffler can take up to 400 miles to settle into its normal sound. 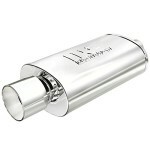 If you like a loud exhaust, Magnaflow could be perfect for you. 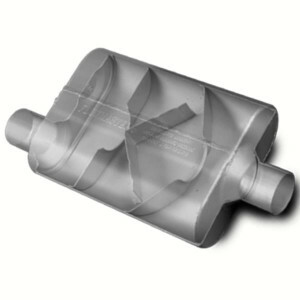 Magnaflow’s straight-through design is least effective at reducing exhaust noise. Why Choose a Magnaflow Exhaust? If you are a car guy like me, you have probably read your share of car magazines and watched Chip Foose and his crew piece together amazing vintage cars on television. That also means you are probably familiar with Magnaflow, an exhaust system commonly featured in the media and at trade shows. Magnaflow has been around over 30 years developing quality exhaust upgrades, and having race car legend Mario Andretti endorse your brand doesn’t hurt either.